Social relationships play a powerful role to both promote and inhibit alcohol drinking. Likewise, alcohol drinking can make us more social, but can also be quite harmful to personal relationships. Studying social animals in the laboratory may help us identify the biological underpinnings of these interactions between alcohol and social environment. This talk will primarily focus on recent research in the prairie vole, a monogamous rodent species. Monogamy includes pair bonding and biparental care, and while these behaviors are important for humans, they are rare among mammals. 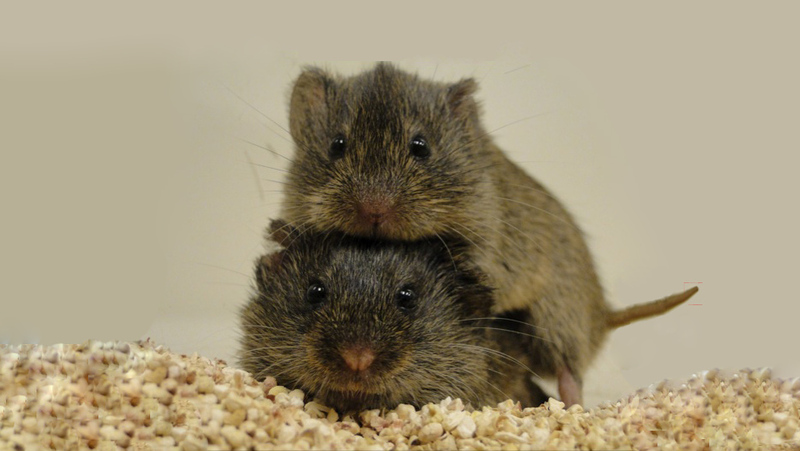 Prairie voles are an excellent model for understanding the evolution and neuroscience of social behavior. Research on voles has even contributed to the development of clinical trials for drug treatments for autism spectrum disorders and alcoholism. During this talk, we will discuss how voles can be used to model social drinking, first dates, and even treatment outcomes for alcohol addiction. You may realize you aren’t so different from a varmint after all. Caroline M. Hostetler, PhD, is a behavioral neuroscientist using animal models of social behavior to inform prevention and future therapies for alcohol use disorder. Dr. Hostetler received her B.S. in Biology from the University of Maryland, and a PhD in Psychology from the University of California at Davis. She is currently a senior research associate in the Oregon Health and Science Department of Behavioral Neuroscience and Portland VA Medical Center. She has worked with a variety of animals, including golden lion tamarins, titi monkeys, rhesus macaques, vervet monkeys, California mice, meadow voles, prairie voles, and humans. She is also an active member of the Portland Women in Science group, encouraging retention, advocacy, and mentorship of women in the sciences across the greater Portland area.